Dr. Shah received his medical degree from Medical College of Georgia. He completed his residency in general psychiatry at Medical College of Georgia and a residency in child and adolescent psychiatry at Johns Hopkins University in Baltimore, Md. He is a member of the American Psychiatric Association and the American Academy of Child and Adolescent Psychiatry. 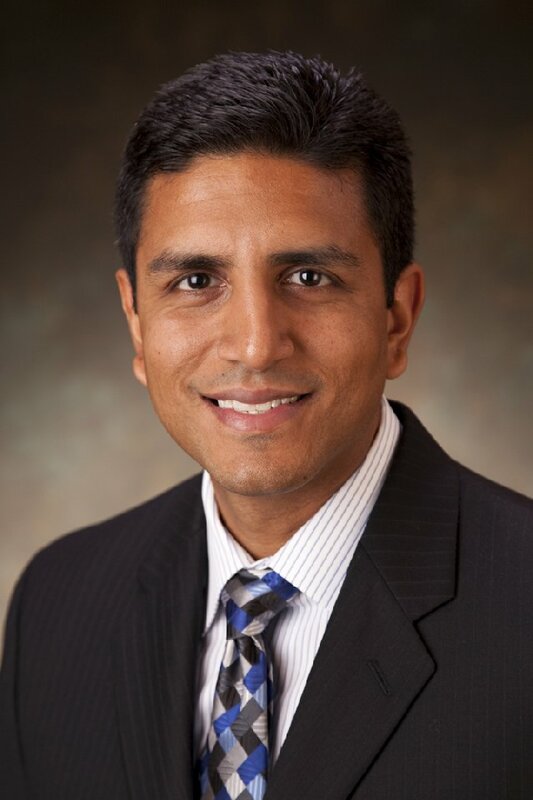 Dr. Shah is certified by the American Board of Psychiatry and Neurology. NGPG Psychiatry offers treatment for a variety of psychiatric conditions and other issues including but not limited to: Attention Deficit Disorder (ADHD or ADD), anxiety disorders, Bipolar Disorder, child and adolescent psychiatry, depression, psychotic disorders and substance abuse. Our psychiatrists see patients in either an outpatient or inpatient setting. NGPG Psychiatry is located in Laurelwood, the mental health and substance abuse treatment center of Northeast Georgia Medical Center, at 200 Wisteria Dr., Gainesville, GA 30501. The practice is open 8:30 a.m. – 5 p.m., Monday through Friday. Call 770-219-5407 to schedule an appointment or to learn more services the practice offers. Visit www.ngpg.org/psychiatry for more information.